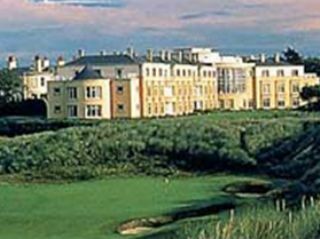 Once the home of the Jameson whiskey family, Portmarnock Hotel and Golf Links is now one of Ireland ’s best golfing hotels. Although just twenty minutes from Dublin , the hotel and its surroundings are rather peaceful and serene. 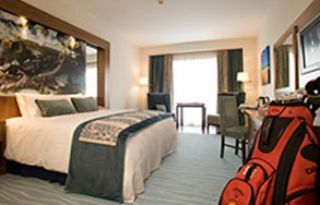 Each of the 103 guestrooms provides a view of either the Portmarnock Links golf course or the sea. Accommodations range from modern executive suites to rooms in the original house with period furnishings and four-poster beds. Fine dining is offered at the formal Osborn Restaurant and at the more casual Links Restaurant. 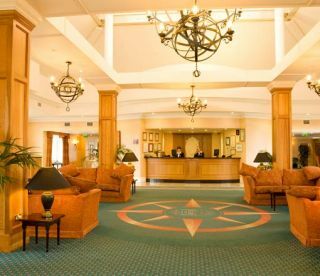 The hotel also has a recently refurbished health spa with gym, sauna and steam room, attended by a staff of experienced sports therapists.